I love pottering in the kitchen and will be the first to admit that I use a lot of ingredients. True to my perfectionist nature, I tend to stand over the stove adding more and more spices and flavourings until the ingredient list is as long as my arm! 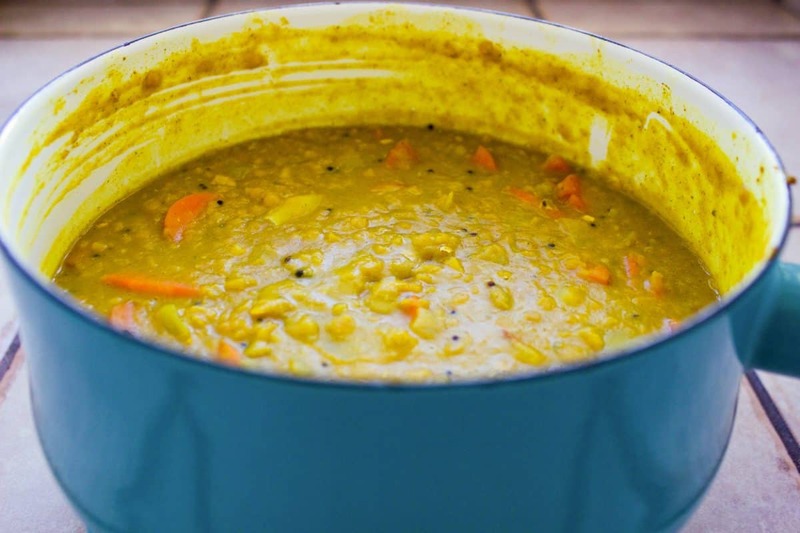 Obviously that doesn’t work so well when you’re trying to create simple recipes, so with that in mind I’ve created this delicious dhal which contains just 10 ingredients and is packed with Winter-busting foods such as fresh ginger (to boost the immune system) and turmeric (an anti-inflammatory). 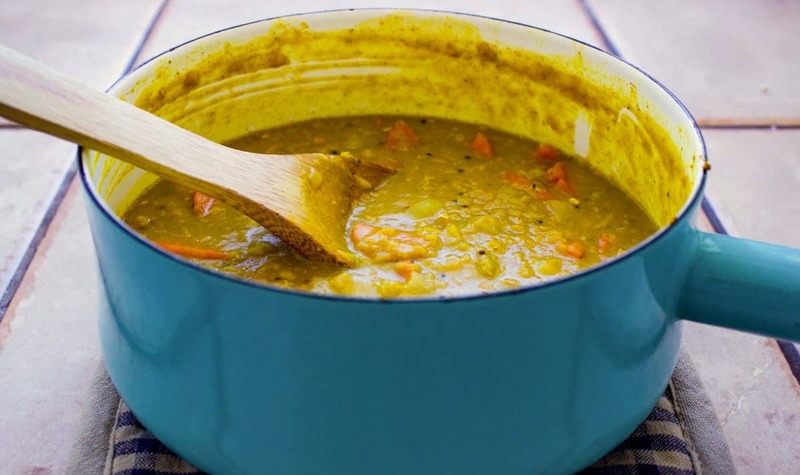 Not only is it simple to make, but it’s also a pretty cost-effective meal as the source of protein (red lentils) is inexpensive. I love to serve this with a colourful side salad and short-grain brown rice (to get all the nutrients!). Steam saute the onion in a large covered saucepan on medium-low heat for approximately 5 minutes, stirring, until just soft (if onion begins to stick to the pan, add a small amount of water). Add in the spices, garlic and ginger and continue to saute for 2 minutes. Add the red lentils, stock and coconut milk and bring the mixture to a boil, then simmer for 15 minutes, stirring occasionally, until lentils are soft. Add the carrot and simmer for a further 10 minutes. Remove from the heat and check seasoning. 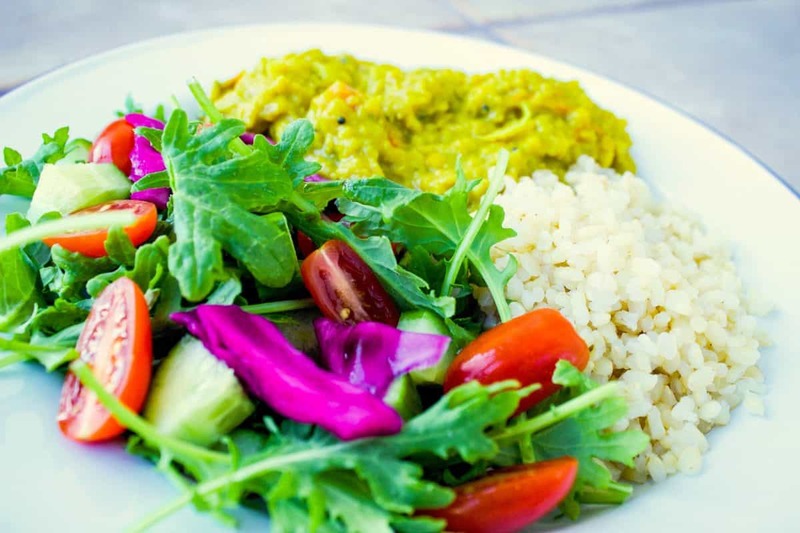 Serve with brown rice and a colourful side salad (the more colourful the veggies, the more vitamins they will contain! ).